The pop song “I Hear a Rhapsody” was at the top of “Your Hit Parade” in 1941. In fact, it was a top-ten hit that year for three separate artists—Charlie Barnet, Jimmy Dorsey and Dinah Shore. With lyrics like “My darling, hold me tight and whisper to me,” this slow dreamy ballad (as it was then performed) provided the perfect subtext for a romantic dining room overlooking the Pacific Ocean. 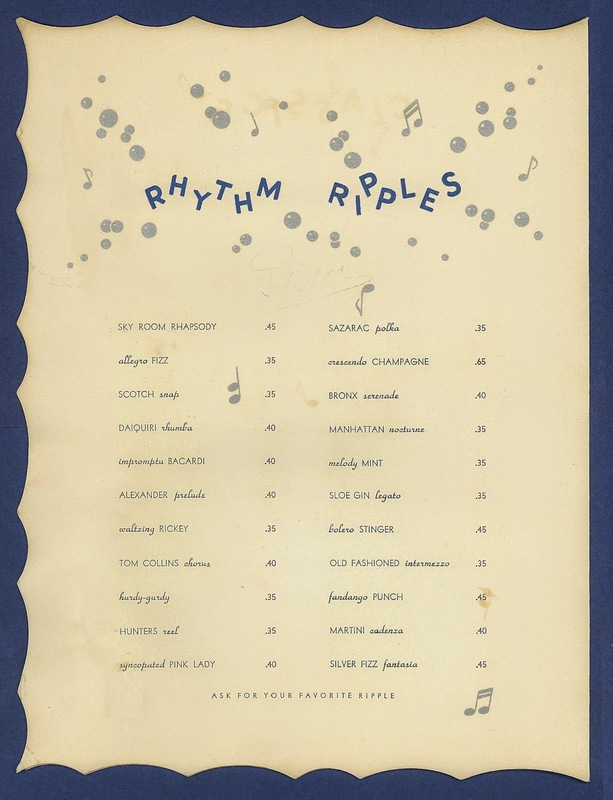 The beverage list called “rhythm ripples” features a cacophony of swing-era concoctions. 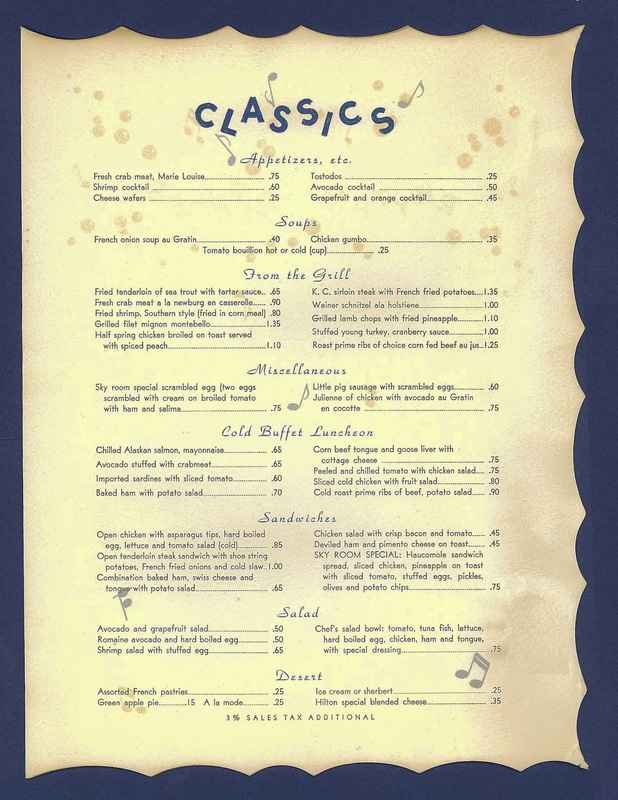 Prices are usually not much help in determining the age of a menu, even when it comes to making a rough approximation. They vary by class and location, and tend to fluctuate over time, as do tax rates. However, the 3% state tax shown at the bottom of the bill of fare narrows the time frame to an 8-year period; the California sales tax increased to 3% in 1935 and was then lowered back to 2.5 % in 1943. 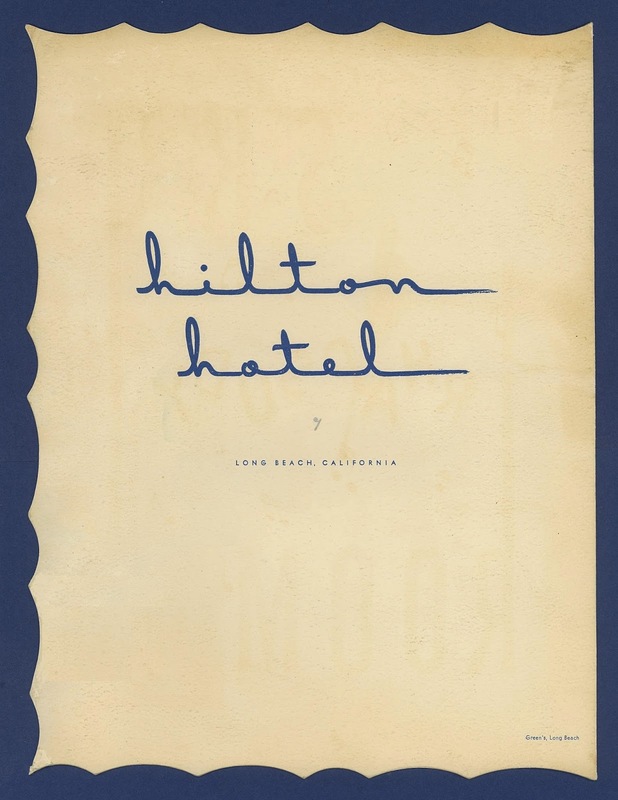 Considering the tax rate and hotel ownership, this menu was in service sometime between 1938 and 1943. The musical reference indicates that it probably dates to 1941, although the design could have been in use for another year or so. Still, it’s only a guess, for you never know when a new piece of evidence will surface. 1. 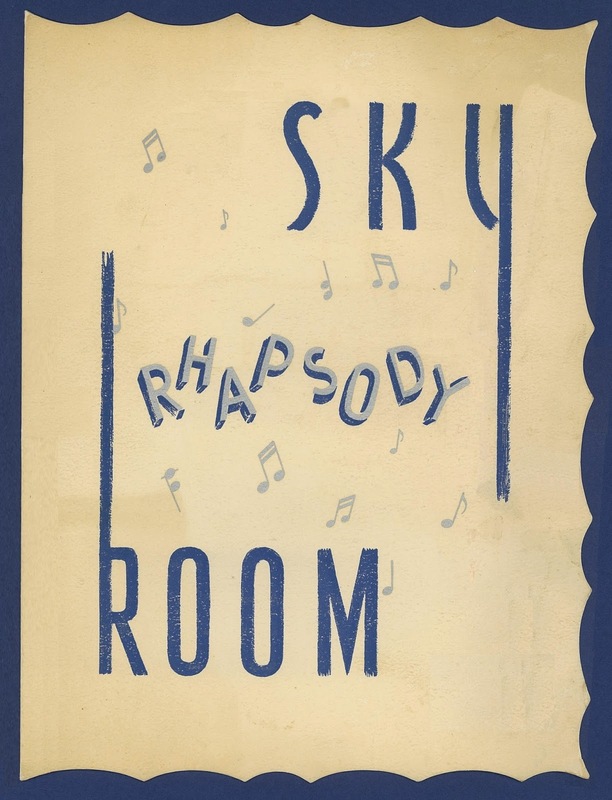 “Up in the Sky Room: The 1930s restaurant with the 360-degree view is back on the scene serving an ultra-retro menu,” Los Angeles Times, 3 March 1998. 2. “Like Old Times: Seniors Find Elegance, Bit of the Past at Hotel.” Los Angeles Times, 27 October 1991. I love to hear the tale of your sleuthing. The thought process is itself rewarding. Bravo. We used to dine in The Sky Room in the eighties, atop the, then, breakers Hotel. That Sky Room special sandwich is an interesting one. Never saw guacamole spelled with an H before.